Today I've got Pixi Beauty's Glow Tonic to show you! I was so happy when this showed up to my place unexpectedly, I had been having a really crappy day, I was stressed, you know the deal... Plus I have heard so much about this product so I was psyched to hear that it was available in the US. Now, I've taken my time to write this review, to really see how the product worked for me. When it comes to skincare, using it once or twice is not enough to see a result. Used after cleanser, it preps the skin for serums and moisturizers so that the rest of the skincare used is absorbed at optimal levels. Glow Tonic is an essential step in the skincare regime as it is fundamental to achieving the Pixi glow! I'm not sure if it was intentional but I found Glow Tonic to have a gingery, spicy (almost clove-like) scent which I really like. The first few days, it left me with a tingly sensation when I used it but it left no redness, which makes me think it was because of the ginseng, and not an allergic reaction. My skin tends be normal, not prone to breakouts, so I just need something to tone/maintain my skin. After using Glow Tonic for a month, I noticed my skin's texture was tighter and smoother. When I stopped using it for a few days, I definitely saw a change, my skin just didn't seem to feel as nice. Would I recommend Pixi Beauty Glow Tonic? Yes, if you are looking for a product with natural ingredients that work. I had a good feeling about this product when I saw that it contained Witch Hazel, something I used to use when I was a pre-teen (feels like such a long time ago!) 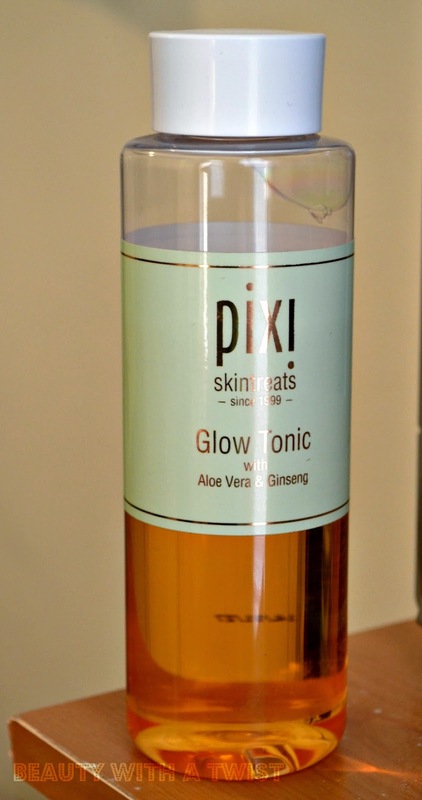 Lately I've been into natural products to moisturize and cleanse my skin so Pixi Glow Tonic fits into my skincare routine perfectly! i heard witch hazel was good for the skin...thanks for the review!